Lago di Garda (Lake Garda) is known as the Italian lake district, with its breath-taking mountains and amazing shorelines, it is no wonder it entices holidaymakers year after year. 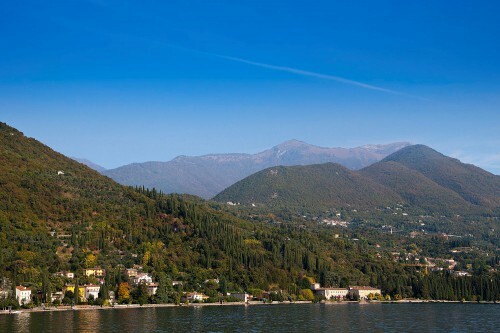 The largest of the Italian lakes, it covers an area of 370 kilometres and is 54 kilometres long. The sophisticated resorts that line the lake’s crystal clear waters offer exclusive dining, high-end shopping, water sports and many historical points of interest. Lake Garda is the perfect destination for travellers that love to be active but also sit back and enjoy spectacular views. There is so much to offer that one trip might not be enough. A visit to the fortifications of Scaligera castle is one activity in Lake Garda not to miss. Known as one of Italy’s most preserved castles, the ancient drawbridge and architectural battlements are a perfect photo opportunity. Located in Sirmione, entrance in to this 13th century masterpiece usually costs from €5 per person depending on ticket type. Loosely translating to ‘the shrine of Italian Victories’, this stunning hillside estate certainly is an Italian victory. Built in 1921, this monolithic palace was once home to daring writer/poet/soldier Gabriele D’Annunzio. A day here can be spent exploring its many buildings including the richly decorated Prioria, the amphitheatre and its ornate manicured gardens. Located in Gardone Riviera, entrance fee costs from €16 per adult. For any grape enthusiast or humble wine lover a visit to Lake Garda isn’t complete without a trip to the rolling vineyards of Bardolino. Located on the southern shores, several tours, tastings and adventures can be arranged from the local towns. 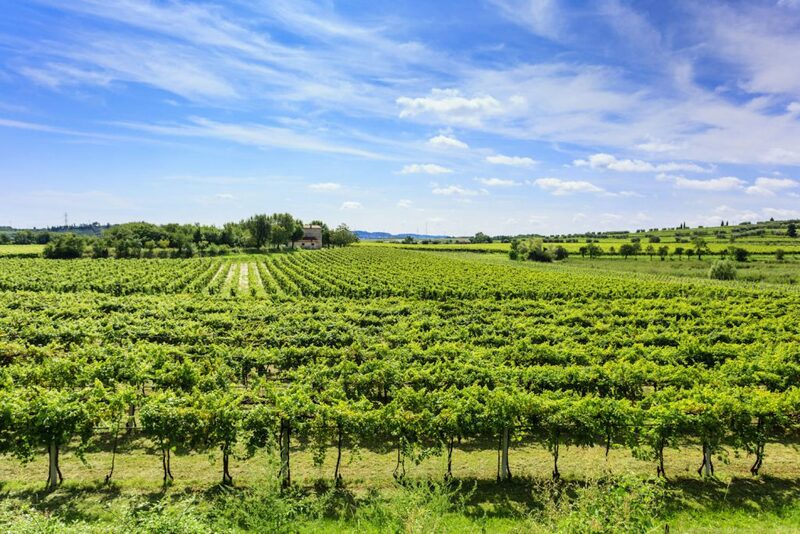 The flat fertile plains produce high grape yields and tempting varieties such as Valpolicella, Superiore and many more. It’s not every day you can hop on a cable car and reach the top of a mountain with spectacular views in just minutes. If you go to Malcesine you can head to Monte Baldo and explore the wonderful landscape, it has to offer. There is a plethora of wildlife including golden eagles and marmots grazing the land as well as blossoming flowers such as orchids and red lilies between March and August. For the active traveller there is plenty of hiking and mountain biking opportunities and even extreme sports such as paragliding. Monte Baldo is known the world over as a hot spot for extreme sports and attracts many tourists for this reason. 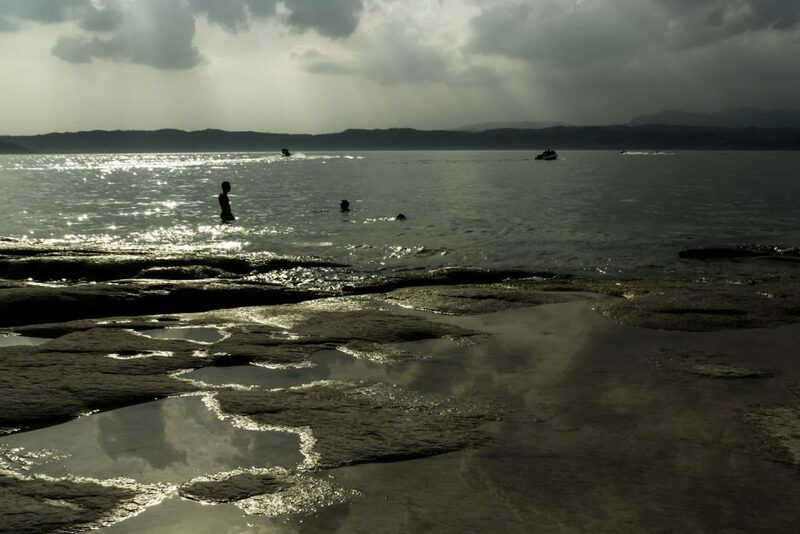 If you thought Lake Garda would be lacking idyllic and stunning beaches, then you would be pleasantly surprised. Beaches are dotted all along the shore and offer a peaceful escape from the hustle and bustle of the towns. Many of them also offer great facilities such as loungers and parasols and restaurants close by. A bonus with the beaches in Lake Garda is that there are little waves or currents, making the waters perfects for all types of swimmers. Located at the tip of the Sirmione peninsula, with crystal clear waters, is the hidden gem Jamaica Beach. A little piece of paradise, this is a great option if you are staying in Sirmione. 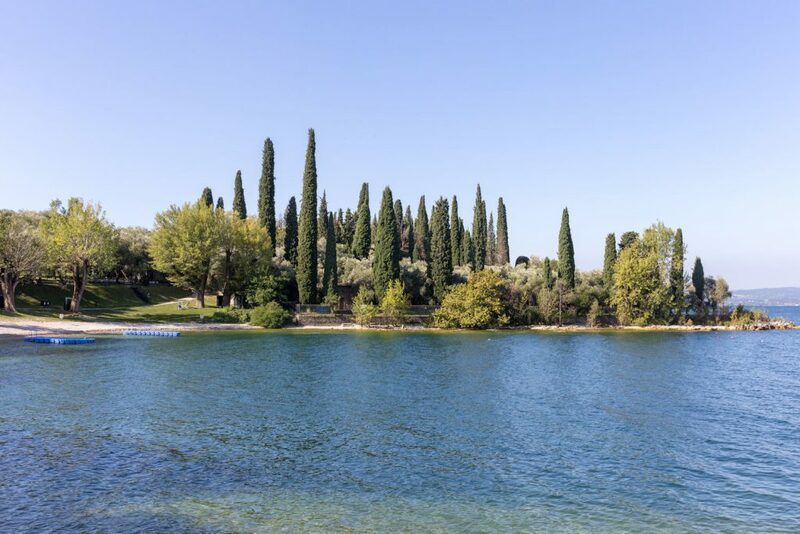 Considered one of the best in Lake Garda, Parco Baia delle Sirene is a serene beach located in lush parkland offering great facilities such as loungers and a children’s play area. Lake Garda’s shores are dotted with quaint, charming towns. Some of the most popular places to stay are in the south of the lake, however these places often become crowded during the high season. 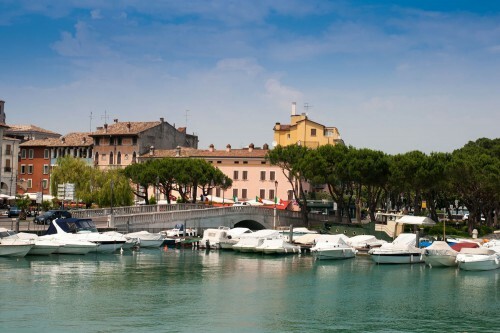 The picturesque towns of Sirmione, Desenzano and Bardolino are often the places chosen due to their proximity to beaches, shops and restaurants and great links to other areas of the lake thanks to an efficient ferry service. If you want to try something slightly quieter, then try west or north of the lakewhich has a slightly more relaxed atmosphere. 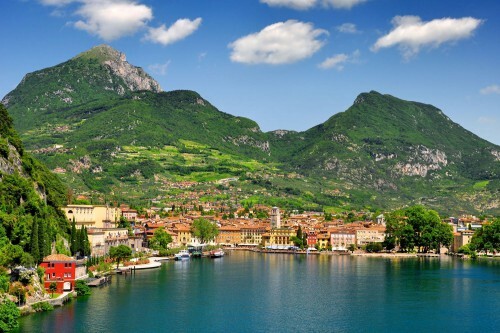 Places such as the medieval town of Riva del Garda and elegant Gardone Riviera (once the home of royalty) still offer elegant lake side properties but with less crowds. 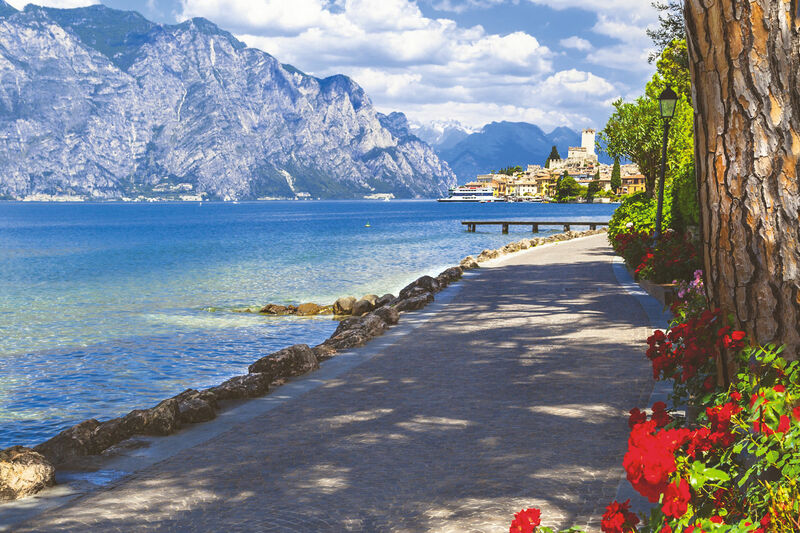 With its stunning landscape and scenic views, Lake Garda is one of the most romantic places to visit in Italy. There are beautiful spots located all along the lake side to take in the amazing views. 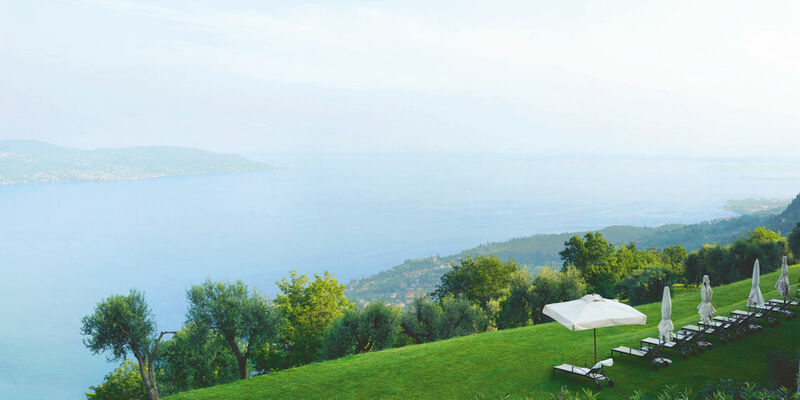 If it is a relaxing retreat you are after, then try The Lefay Resort & Spa. The hotel is perched on a hill top with views to die for. 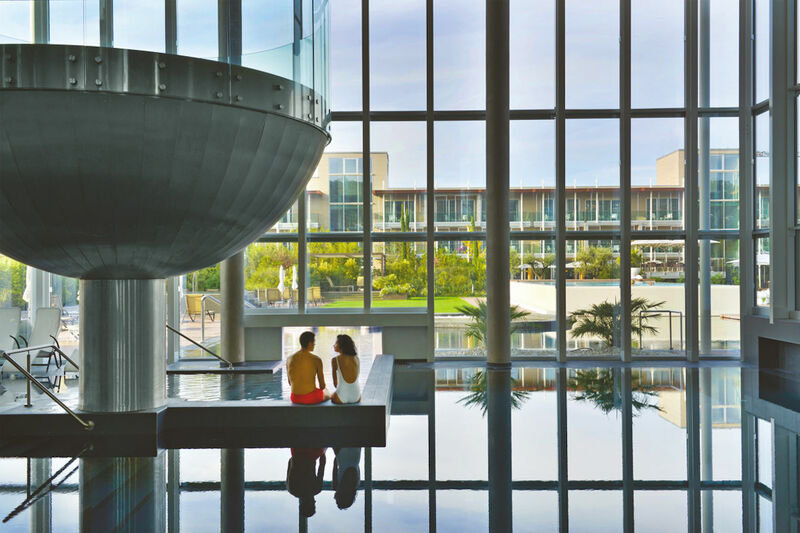 This tranquil hotel offers an extensive array of spa treatments and outside dining experiences offering localised produce in a beautiful location with the highest standards. 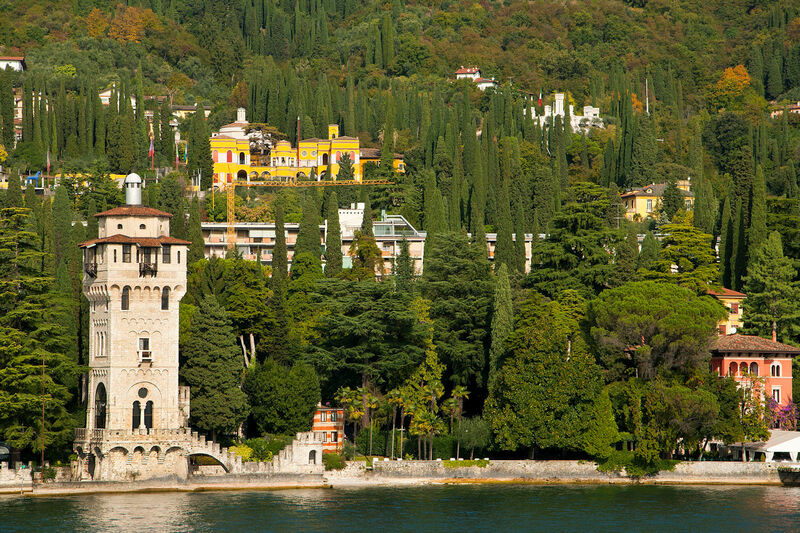 For the ultimate in fairy-tale romance spend the day in Malcesine. 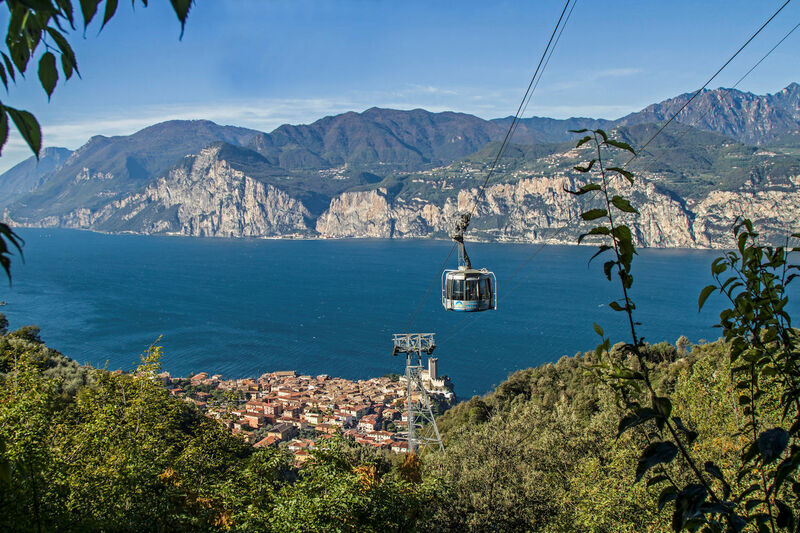 With its cobbled streets and amazing views of Monte Baldo which can be reached by cable car from Malcesine. It is well worth spending a day here to admire the picturesque resort and amazing Malcesine Castle located in the heart of the town. It is by far one of the most romantic places in Lake Garda and a popular wedding destination. 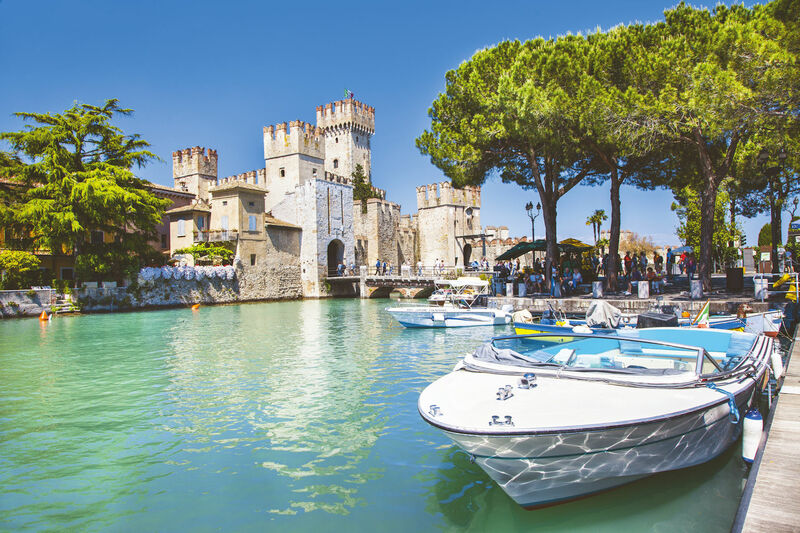 Lake Garda is the most family friendly of Italy’s Lakes with many attractions for children including watersports and lake side beaches with calm waters and children’s facilities. No stay in Lake Garda would be complete without a trip to Gardaland. The complex is made up of an amusement park with rides for children of all ages and an aquarium with a large variety of animals. You’ll find species such as sea lions, clownfish and sharks (best to visit at feeding time). There is so much to see and do, it can be split over a couple of days and season tickets can be purchased. Lake Garda is excellent for water activities, be it motorised watersports or relaxing on a paddle board. 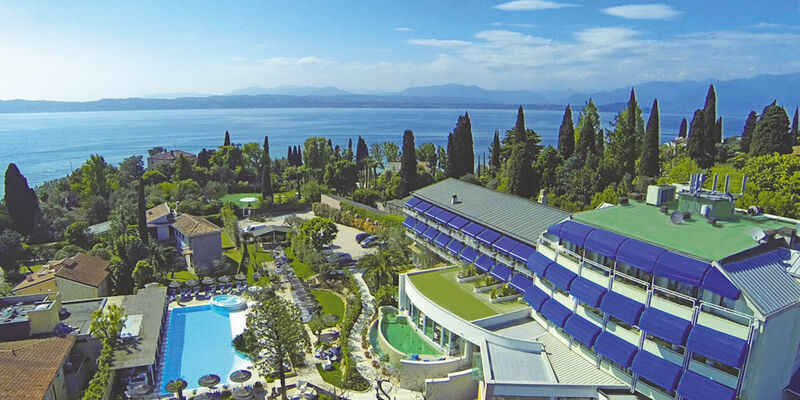 For a family friendly hotel with waterslides, watersports and a children’s area, stay at the Grand Hotel Fasano & Villa Principe or the Aqualux Hotel Spa Suite & Terme which offers spacious rooms with a balcony or terrace and some rooms with a separate lounge and a children’s pool. 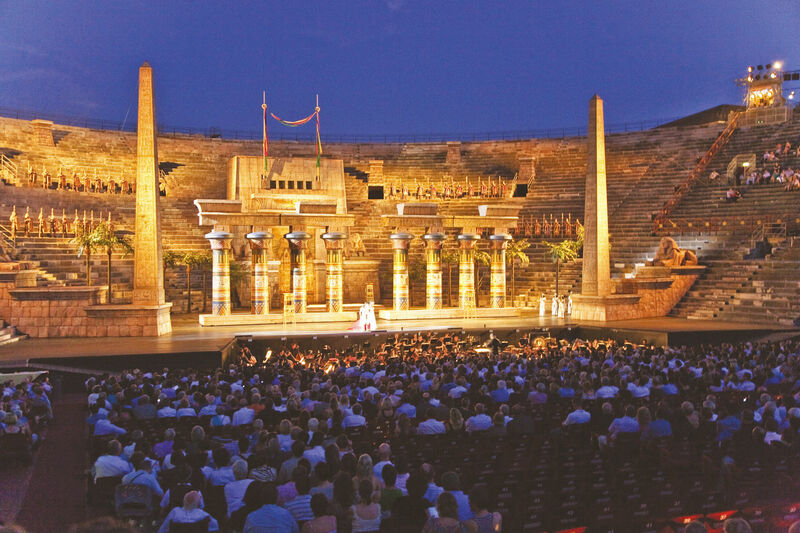 The open-air arena in Verona is just a stone’s throw away from Lake Garda and during the summer months hosts some of Italy’s most sensational performances, including Aida and Carmen. Whilst enjoying a holiday on the lake you may want to treat yourself to a night in Verona to see one of these famous performances that happen a handful of times a week. Upgrade your seats for a night you will not forget. As well as opera performances, there are many other wonderful things to do in Verona. 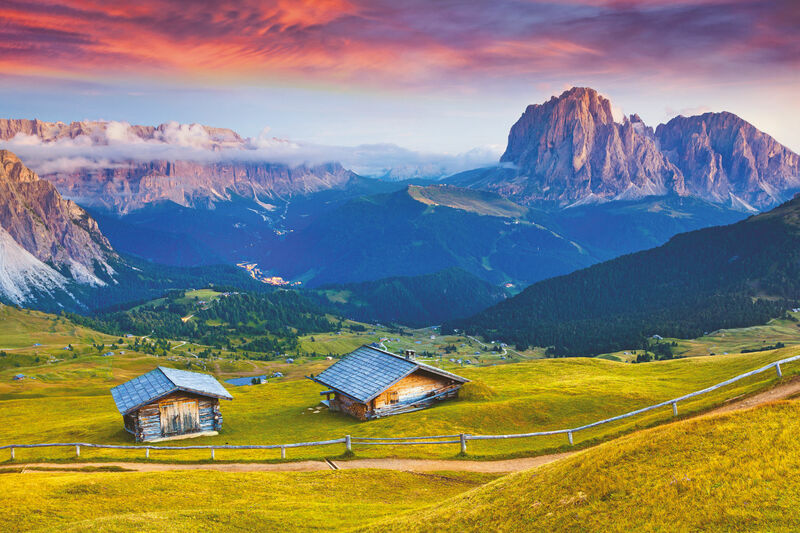 One of the most exceptional and stunning excursions you can do is a visit to the Dolomites. These incredible mountains are some of the most breath-taking in Europe and just a drive away from Lake Garda. Tours operate a handful of times a week and take you to some of the most picturesque and famous peaks and villages. Lake Garda plays host to many boat tours, offering a fantastic way to see the lake in a day. The boats operate different routes around the lake and provide a whole new perspective on this beautiful area. Like many places in Italy, Lake Garda has a long season due to its mild year-round temperature and moderate winters. This is due to the sun warming the lake, and the mountains acting as a barrier keeping the heat in. April to mid-October is the best time to visit with high season falling between June and September. Although do expect some thunderstorms in August when the temperatures peak. For a mild and pleasurable heat, try visiting in the shoulder seasons. May and October are great times to visit as prices can be much lower and towns less busy. Like anywhere in Italy it is best to completely submerse yourself in the local cuisine and say, ‘When in Lake Garda’. The area is well known for its olive oil which has a light and delicate flavour. You will also find fresh fish in ample amounts which is caught daily from the lake, as well as meat and polenta which is a common delicacy in the north east of Italy. As Lake Garda is spread out over three different regions it draws influences from many areas with an emphasis on fresh produce. You’ll also find traditional Italian dishes inspired from across the country. 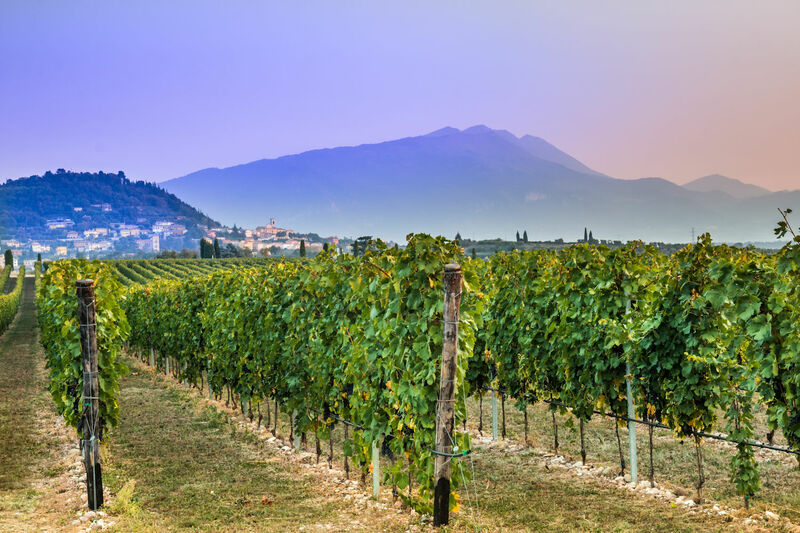 Owing to its micro climate the area around Lake Garda produces some of Italy’s most exquisite wines. For wine lovers visiting the lake you will be in heaven as the three regions, Trentino, Lombardy and Veneto offer a range of notable wines which are sold in restaurants all over Lake Garda. Wine lover? Visit our post for the best wine tasting holidays in Europe.. There is one thing that Lake Garda does not lack and that is local markets and shopping outlets. No matter where you are staying don’t miss a visit to a local market selling anything from local produce, fruit and vegetables to household items and clothing. These markets are a wonderful place to find unique localised items that you cannot find anywhere else. Most things are sold at reasonable prices but do not be afraid to barter. If you prefer some high-end shopping, then try one of Lake Garda’s many outlets. Most of these are located at the South of the lake around Sirmone, Desenzano and Bardalino and offer many of the most well-known fashion brands for low prices. If you prefer to go to a bigger city for shopping, then Verona is just a short train ride away and Via Mazzini has an array of designer shops and small boutique stores to choose from. Lake Garda can easily be paired with many Italian cities, to create a more immersive experience of the country. Verona is the most popular twin-centre options due to its proximity (just 30 minutes away). Lake Garda can also be twined with Venice (1 hour 30 minutes by train), Milan (2 hour drive), Florence (2 hours train+drive) and even Bologna (2 hours train + drive). For more Italian multi-centre inspiration visit our Italian Multi-Centre Holidays page, for the ultimate guide to Italian itineraries. 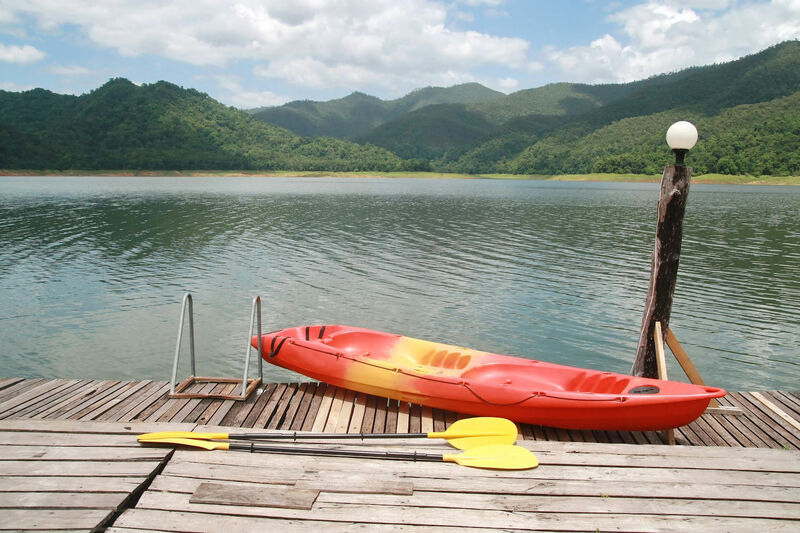 For stunning lake views and superb location, the Villarosa is wonderful. 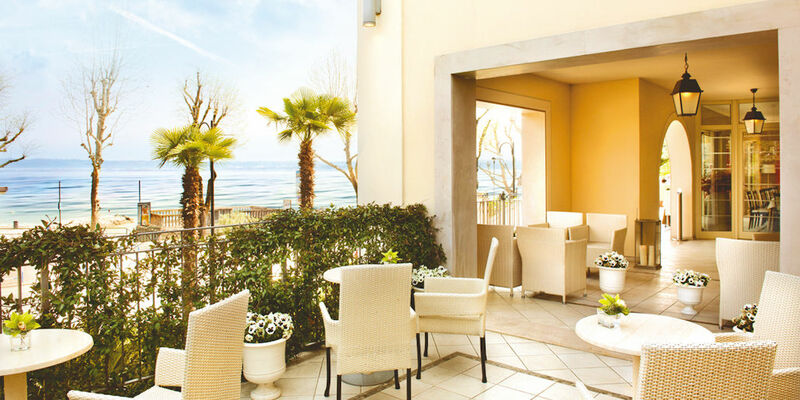 This small 4 star is located near a small peaceful beach and just a short stroll from the sites and scenes of Desenzano. Perched on a hillside above the Lake the Lefay resort offers unparalleled views across the lake and surrounding villages. Branded as a luxurious retreat the spa at this 5* hotel is second to none. 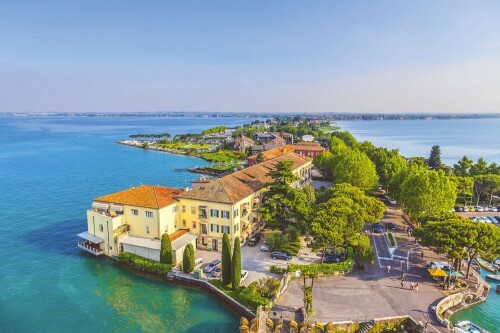 Perched on a hillside above the Lake the Lefay resort offers unparalleled views across Just a few steps from the town centre of Sirmione, Hotel Olivi is an excellent base for exploring the area. This delightful 4* hotel offers warm service, tasty cuisine and beautiful lake views.